As identified in the introduction, the 1919 Cincinnati Reds were an elite fielding team. This was especially prominent in the outfield, where Edd Roush and Greasy Neale patrolled the vast real estate of Redland Field. 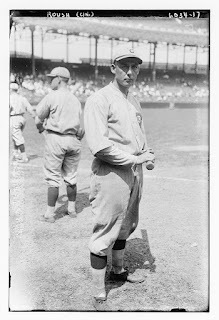 The star of the infield, defensively, was the unheralded Morrie Rath, who, by the numbers and reputation, was a brilliant defender. Offensively, the team's production revolved around two key hitters: third-baseman Heinie Groh and MLB Hall of Famer Edd Roush. Heinie Groh and Edd Roush were unquestionably the stars of this team; more on them shortly. 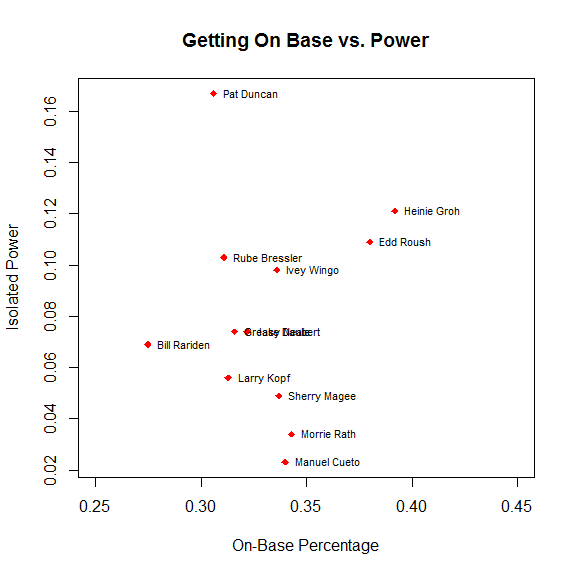 But the one who really jumps out at me on this graph was Morrie Rath. Granted, one should have substantial reservations about fielding numbers from this era (see comment below the jump on this post), but Rath saved 27 runs above average with his glove between 1919-1920, and DRA has him at nearly 45 runs over the same time period. The fascinating thing about Rath is that he had such a hard time getting the opportunities that he did. He broke in with the Athletics in 1909, and enjoyed a short tenure with the White Sox as their starting second baseman from 1912-1913. Following an injury-driven bad season in 1913, however, he was sent to the minors, and did not re-emerge until the Reds gave him an opportunity in 1919. Rath played all but two games at second base that year, was the Reds' leadoff hitter, and turned in an outstanding defensive season along with league-average hitting. By the estimates here, he was a 4-win player that year. Bill James speculated that Rath might have had a longer career had he played in a different era, because his principle skills--fielding, and the ability to get on base--weren't adequately appreciated at the time, writing "He spent almost all of his career in the minor leagues just because his skills were too subtle for the men who managed the major league teams." Reds Hall of Famer Larry Kopf does not rate highly by these measures. He was about a league-average hitter in 1919, one of his two best offensive seasons. However, while an average of his 1919-1920 Total Zone rates him as a league-average shortstop, Michael Humphrey's multiyear Defensive Regression Analysis metric rates him as well below-average (-21 runs). The values above average the two. If one uses just TZ or DRA alone, Kopf's WAR value swings by a full win higher or lower. Kopf's reputation was as a solid defender, and given how good the team's overall fielding numbers were, it seems reasonable to believe Total Zone's numbers in this case. Nevertheless, even from the most optimistic of perspectives, it is hard to justify induction into Reds' Hall of Fame. Morrie Rath is more deserving, although he is ineligible due to only playing for the Reds for two seasons. Also worth noting is Greasy Neale. He rated as an equivalent fielder to Edd Roush that season, and the combination of those two resulted in few balls dropping throughout most of the outfield. Being a pitcher's park with vast outfield fences, a strong outfield defense was important. Neale might not have been an offensive force (he'd hit better the prior two seasons as a part-time player), but he was a solid enough hitter to justify his position and keep his glove in the field. On top of all that, he competed closely with Heinie Groh for the title of best first name on a squad of outstanding first names. Neale was traded after the 1920 season, along with Jimmy Ring, to the Philadelphia Athletics for future Hall of Famer Eppa Rixey. The A's, in turn, put him on waivers in mid-1921, and the Reds immediately reacquired him, though he saw his role diminish. Ultimately, after retiring from baseball, Greasy Neale became an extremely successful football coach, and was inducted in both the College Football Hall of Fame (Washington and Jefferson University) and the NFL Hall of Fame (Philadelphia Eagles). Heinie Groh and Edd Roush were similar, dynamic, highly effective hitters that formed the core of the Cincinnati Reds' offensive attack. Their numbers in 1919 were virtually identical by all major measures, and they even had the exact same slugging percentage. Groh walked more than Roush that year, but Roush made up most of that gap with a slightly higher batting average. Both are justly in the Reds Hall of Fame, and Roush would become the Reds' first MLB Hall of Fame inductee in 1962. The Reds got at least solid offensive production from all of their positions save one: left field. 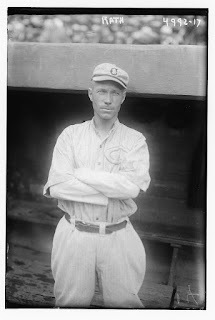 Sherry Magee was the incumbant left fielder that season, but as the year went on he lost more and more playing time to Rube Bressler (a two-way player that season, as discussed in the post on pitching) and, later in the season, Pat Duncan. 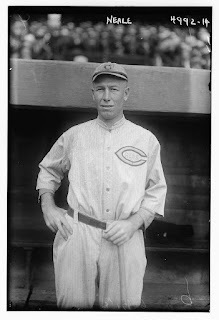 Duncan, a rookie, would go on to take the left field job full-time in 1920, and started there for the Reds for four seasons. Almost every reference you will see to the 1919 Reds will mention the Black Sox scandal. Without question, it is the legacy of this Reds team that was most strongly tarnished by the actions of those players. The team was legitimately outstanding, and there's no reason--in hindsight, anyway--to have considered them underdogs in that World Series. They had an incredible record, easily the highest run differential in baseball, and a team that featured good hitting, good pitching, and outstanding defense. They were also loaded with interesting and dynamic personalities. This is a team that Reds Fans should celebrate, and it was a pleasure to learn about them through this series. The Baseball Gauge is the most outstanding site on the internet when researching past teams. It also is the one place I know of where you can find Defensive Regression Analysis data. Baseball-Reference is always invaluable, especially for game logs, lineups, and their wonderful Bullpen wiki of concise player bios. FanGraphs continues to be my go-to site for performance metrics, and furnished virtually all of the stats in my R baseball database. Thank you David Appelman! SABR's Baseball Biography project is an incredible resource for perspectives and histories on ballplayers. Methods note: Most of these data are from FanGraphs. 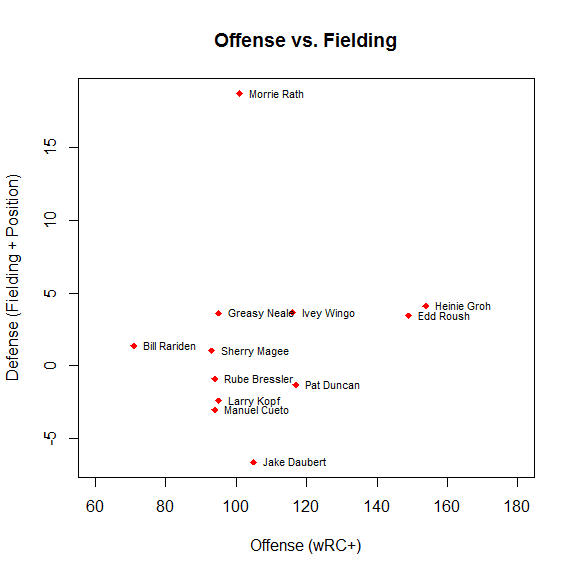 However, the fielding stat is modified, and is an average of 3-year Total Zone and 3-year Defensive Regression Analysis data. I calculated Total Zone / PA averages across three seasons of data (1918-1920), and then pro-rated that rate to the player's PA's in 1919. I then averaged this value with the Multiyear Rate DRA numbers (by Michael Humphreys) reported at The Baseball Gauge. While any fielding numbers can be treated with suspicion, I would argue that the numbers presented here are the most reliable we have. Did Burke Badenhop Find His Velocity?